Ranging from the eloquent and stirring to the downright funny, these are Australia's greatest sporting moments, seen through the eyes of the winners and losers, experts and legends of all our favourite sports. Don Bradman on his 'small' contribution to cricket. Roy Masters on getting the best out of the hard men of Western Suburbs Rugby League FC. John Howard on cycling legend Sir Hubert Opperman. Cathy Freeman on lighting the Olympic flame. Phonse Kyne on making sure his players made history for the right reasons. Jeff Fenech hollering 'I love youse all!' to a packed-out stadium. 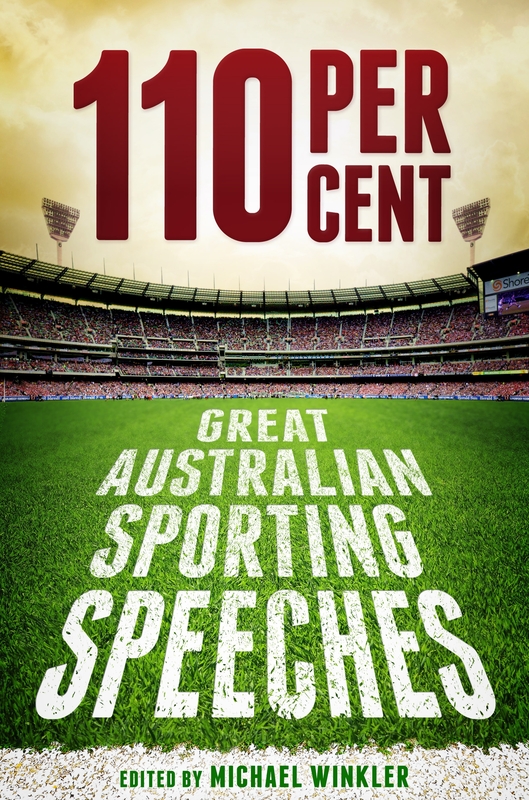 Entertaining and informative, 110 PER CENT casts a keen eye over Australia's sporting history, and confirms there's much more to sport than the score line (as long as you're winning). 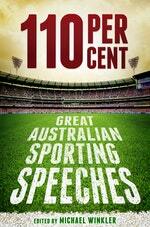 Love 110 Per Cent: Great Australian Sporting Speeches? Subscribe to Read More to find out about similar books.